I know of only one historical hypothesis that is instantly convincing. 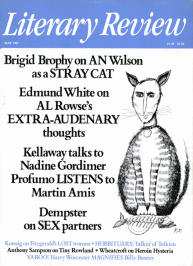 I read it in the Autumn 1985 number of The Ashmolean, a lively and scholarly quarterly with subjects as various as the collections in the museum that issues it. An article explored ancient Egyptian representations, including some piercingly beautiful statuettes, of cats: plumpish, sleek and palpably domestic. It recorded the arrival of domestic cats in Europe from Egypt, sketched the theological context in which ancient Egyptian culture set them and traced their probable evolution from two or more species of wild small cat found in North Africa. Wild cats, the article suggested, made their own way into human settlements. Because they killed mice, rats and snakes, the humans did not discourage them. Thus it came about that, alone of non-human animals, ‘the cat may have domesticated itself’.